The MIRES budget allocations for R&D are those that fall under the Initial Finance Law (LFI) in the form of commitment authorisations (AE). The government institutions and departments that receive these resources are surveyed every year. This survey covers projected public funding and not the performance of R&D activities and as such is distinct from the annual survey of state institutions that assesses all of the resources and expenditure devoted to the performance of R&D. To take account of the fact that a single piece of R&D can contribute simultaneously to more than one objective, resources are broken down by ‘primary objectives’ (the direct aim of the R&D in question) and ‘related objectives’ (which reflect possible links between R&D activities with different aims). The classification used is compatible with that used by Eurostat to allow for comparisons with other countries. It includes 16 chapters divided into sub-sections to enable a more detailed analysis (see chapter A4). The objective labelled ‘general advancement of knowledge’ equates roughly to fundamental research. It covers the disciplines involved in the various primary objectives pursued by research institutions with areas of specialism that presuppose a strong link with the quest for knowledge in this same field (see chapter A4). 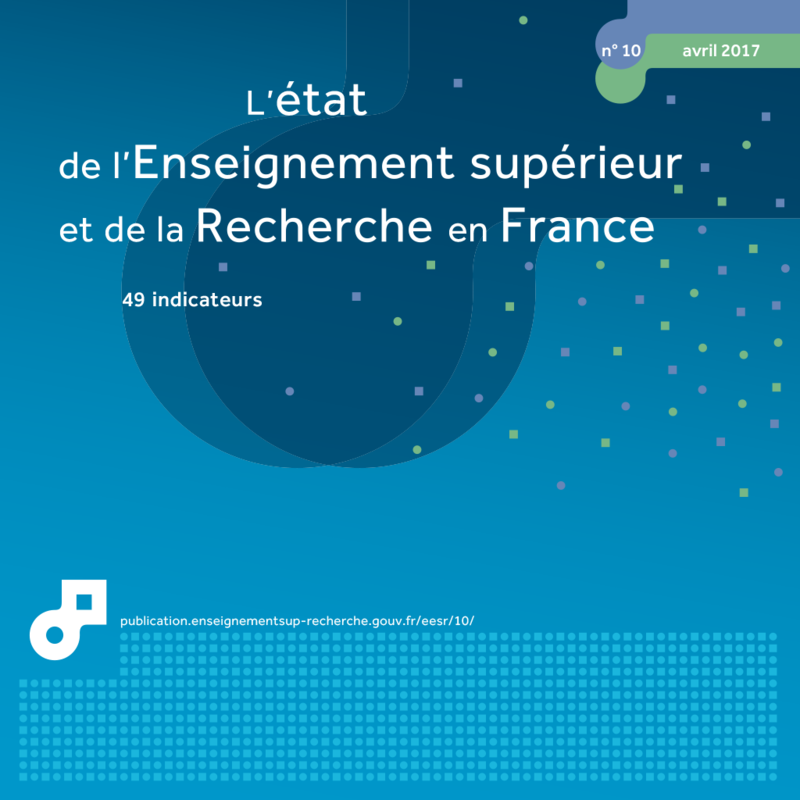 The Inter-ministerial Mission for Research and Higher Education (MIRES) brings together in a single budget the majority of resources devoted to the knowledge economy, and its production, distribution or transmission by the French government. Its budget allocations are divided between nine programmes and come from six government departments, accounting for virtually all funding for public research in civil areas (chart 33.01). In 2016, the budget for research and technological development totalled nearly €13 billion, which was divided between the MIRES’ various institutions. By analysing these allocations in a number of different ways, it is possible to gain additional information about the budgetary resources put towards research and technological development. The first approach involves breaking down the budget allocations into broad types of activities (chart 33.02). This method reveals that the largest amount of budget allocations (48%) went to dedicated state research and development (R&D) institutions, primarily state-owned industrial and commercial establishments (EPIC) and state-owned scientific and technological establishments (EPST), in the form of public service subsidies. These recurrent subsidies accounted for 77% of the resources available to EPSTs and 53% of those available to EPICs. Research carried out at higher education institutions received the second largest proportion of budget allocations (29%) in 2016. Operating expenditure accounted for €2.0 billion of budget allocations (13%) and funded specific measures by various government departments that formed part of an overarching strategy to support innovation and R&D. The term ‘operating expenditure’ covers a number of different items, including the national competition for the creation of innovative technology companies (i-LAB) and support for competitiveness clusters. Finally, ‘involvement in international organisations’, which covers France’s contribution to various programmes and organisations at European and international level (such as ITER, EUMETSAT and EMBL), accounted for 9% of all budget allocations. A second approach to budget allocations is to consider the resources allocated in relation to the objectives of the policies being pursued, across all fields (chart 33.03). Using this method, 49% of budget allocations were devoted to fundamental research, most of which was carried out by public R&D organisations and higher education and research institutions. The objectives ‘Incentive credits’ and ‘Major programmes’ accounted for 26% of the budget. They cover funding and support for activities that bring together the public and private sectors, which are generally implemented by the French National Research Agency (ANR) and Bpifrance Financement. Finally, targeted programmes corresponding to specific measures to support a particular field or objective, such as space or civil aeronautical research, accounted for 19% of the budget. A third approach is to study the breakdown of these budget allocations by socio-economic objective (chart 33.04), making it possible to break down the budget in terms of institutions’ scientific and technological priorities. The 'Life Sciences' objective which covers research into health, agriculture and life sciences, represents 24% of allocations. The 'Mathematics, physics, chemistry' objective represents total budget resources of €1.8bn, or 14% of budget allocations broken down by objective. The 'Human and social sciences, Life in society' objective receives €1.7 billion or around 13% of budget allocations. 'Space' and 'Information and communication technology and science' each receive 6% of budget allocations. €2.2 billion of budget allocation went to the 'Industrial production and technology' and 'Energy' objectives while the 'Environment' and 'R&D in aid of developing countries' received €700 million and €340 million respectively. Extract from the chapter "33. the socio-economic objectives of budget allocations devoted to research and development". 1 Ministry of Education, Higher Education and Research. In 2016, €1.3bn of budget allocations are not broken down into objectives. This relates to operators' shared resources, operational resources and resources that were not covered by the classification of socio-economic objectives.